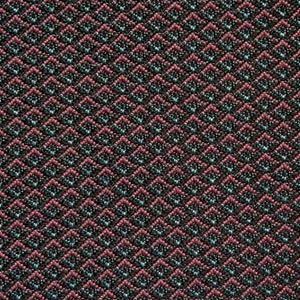 Stilleto Primrose is a small scale, woven, diamond design in Navy, Turquoise and Coral. The diamonds measure approximately one quarter inch by five sixteenths of an inch. With great durability, this fabric can work well in high traffic situations. Stilleto is suitable for drapery, curtains, cornice boards, pillows, cushions, bedding, headboards and furniture upholstery.